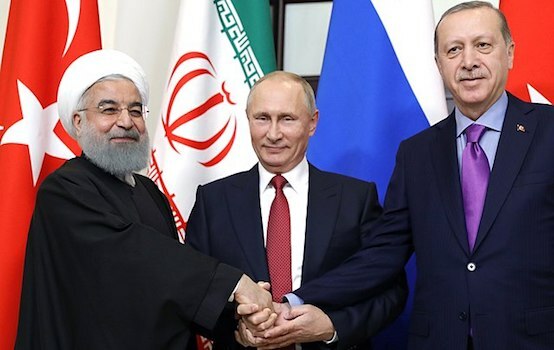 Right-wing, anti-Iranian figures and media in the United States have begun circulating claims that Iran had violated the JCPOA that resulted from the P5+1 nuclear negotiations, and indeed has a nuclear weapons program. Various pro-Israeli and anti-Iranian voices in the US echoed this claim. Mark Toner was even asked about the allegations during a press briefing in April.The source for this allegation was the National Council of Resistance of Iran, a front group for the Mujahadeen E-Khalq (People’s Holy Warriors). Putting aside the group’s shady history, terrorism, and bizarre cultish practices, the claims should have immediately been discredited. Why? These exact same forces were caught lying back in 2015, with similar claims. In 2015, as the nuclear negotiations were nearing their completion, the NCIR published photos of a safe, claiming it was in Iran and contained materials related to a secret nuclear weapons program. The photo the NCIR released was proven to have been taken from a French website selling safes. The group was caught in an obvious lie. Iran’s nuclear energy program has never been proven to have any military uses. The International Atomic Energy Agency has watched over all of Iran’s nuclear activities, and following the negotiations in 2015, almost all of the peaceful nuclear energy program has been shut down. 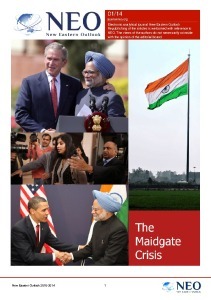 fraudulent claims that continue to be treated with credibility in the US media? So, who is the MEK? The Mujahadeen E-Khalq is a religious/political cult formed in Iran during the 1970s. At the time Iran was led by a US backed dictator, the Shah. While various groups organized resistance to the Shah in the form of guerrilla warfare, strikes, and protests, the MEK conducted adventurist acts of violence and terrorism. In addition to Iranians, Americans were also victims of MEK’s terrorism prior to the Iranian revolution of 1979. The Mujahadeen E-Khalq calls its belief system “Islamo-Marxism.” The founder, Masoud Rajavi, claims to be a prophet brought to earth by God in order to usher in some kind of Islamic Communist revolution. MEK’s beliefs could almost be described as an Islamic version of Reverend Jim Jones “People’s Temple,” which reached its peak during the same time period. Like Rajavi, Jones also claimed to be some kind of prophet who could spiritually combine the world’s religions with soviet-style Marxism in order to foment global revolution. Also like the People’s Temple, many people have died as a result of Rajavi’s fanatical and violent organization. After Iran’s 1979 Islamic Revolution, the MEK briefly aligned with Khomeni, hoping they could influence the Iranian revolution from within. After one of their allied clerics was deposed, the MEK launched a bombing campaign against the Islamic Republic. In 1981, the MEK bombed a meeting of Iran’s Islamic Republican Party, killing 72 people. During the Iraq-Iran war, Saddam Hussein began funding and arming the MEK. The MEK formed an armed body called the Iranian National Liberation Army. In 1988, MEK fighters were airdropped into Iran by Iraqi aircraft. Its members proceeded to raze villages, slaughtering, men, women, and children, before ultimately being defeated by the Iranian military. It is estimated that tens of thousands of civilians were killed by MEK fighters during the Iraq-Iran war. After the war, MEK set-up shop in Iraq, being coddled by Saddam Hussein’s government. Hussein used the MEK as shock troops to suppress the Kurds and other uprisings against him during the 1990s. 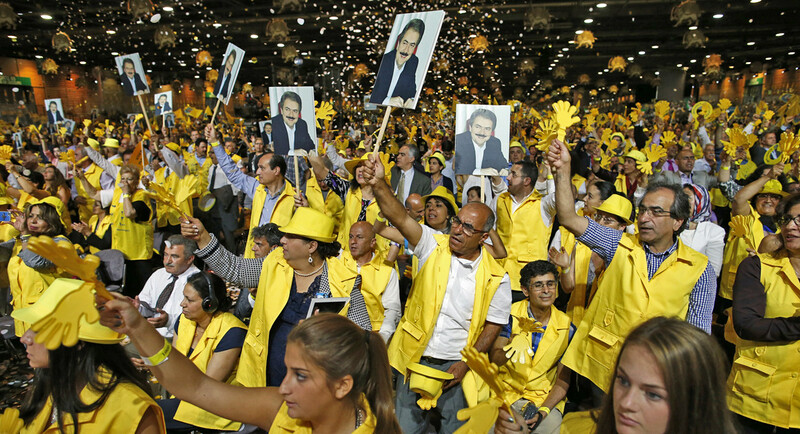 MEK is now headquartered in France, with Massoud Rajavi, the wife of the cult’s founder, claiming to be Iran’s President in exile. During the 1990s, the cult ordered all members to divorce their spouses, as marriage was considered a distraction from achieving the cult’s goal of toppling the Iranian government.MEK’s base of operation, Camp Ashraf in Iraq, has been operated as a kind of mini-police state. According to Human Rights Watch, within Camp Ashraf, the death penalty and torture is frequently used against residents. Reports described individuals being dragged by ropes around their necks, among other routine atrocities. With the support of Hillary Clinton, the MEK was removed from the list of designated foreign terrorist organization in 2012 by the US State Department. 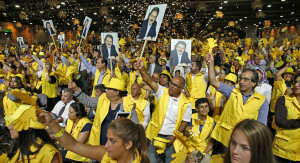 The decision was based on claims that MEK had “renounced violence.” However, at the very time the process of delisting was in the works, MEK assassinated Iranian Nuclear Scientists. The fact that the group was caught intentionally using a fake photograph against Iran in 2015, in addition to all of its terrorism and war crimes, should discredit its recent statements about Iran in the US media. However, despite their previous lies and horrendous record, certain US media outfits remain so biased and hostile to Iran, that they still repeat their claims. While no evidence exists that Iran has violated the JCPOA, Donald Trump recently stated to the press that Iran had violated “the spirit of the agreement.” How does one define “the spirit?” Will Iran be punished for such a subjective crime, despite fulfilling all of its written obligations?